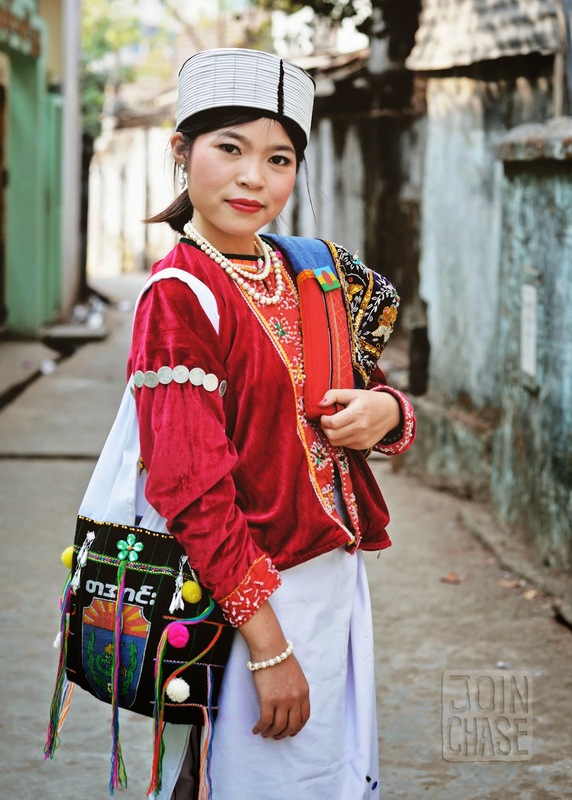 Myanmar is a very ethnically diverse country with over 130 officially recognized groups of people categorized into eight major races including Shan. Shan National Day happens once a year. 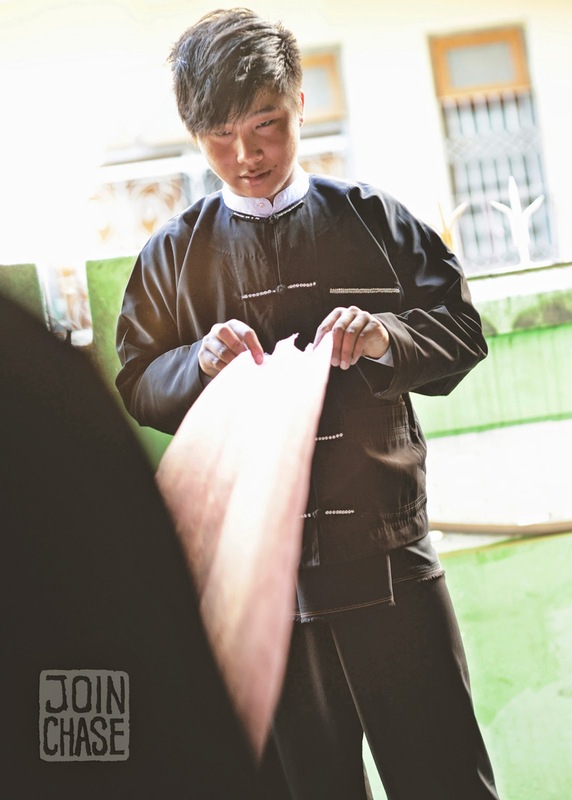 It's a day to celebrate diversity and keep the traditions of more than 30 unique Shan ethnicities alive. 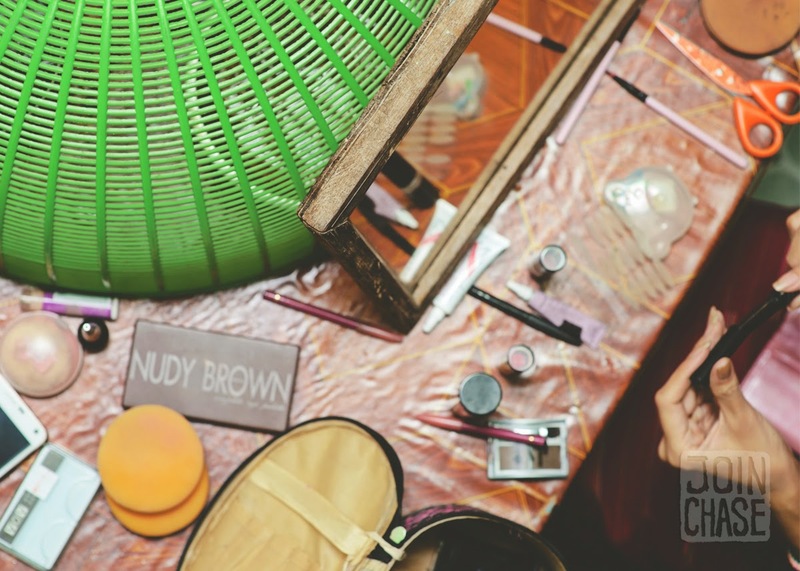 A full day of events highlighting colorful costumes, rich food, and impressive dance routines is held at People's Park in Yangon every February. I had the chance to follow members of the Palaung (Ta'ang) tribe from northern Shan State last year, as well as this year. Both opportunities have left me mesmerized by bright attire and beautiful cultural displays. To have gotten to observe and photograph such intimate moments before showtime both years was special. I hope to see the group again next year. 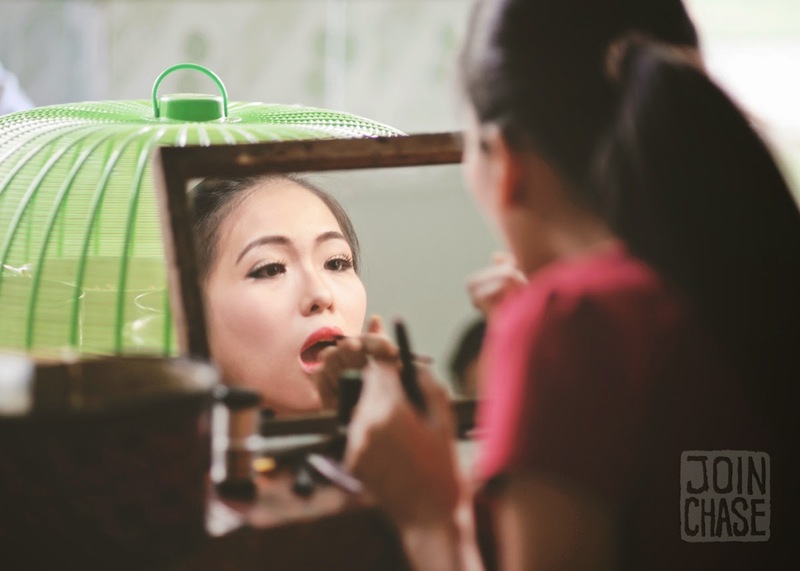 A member of the Palaung group getting ready for Shan National Day in Yangon, Myanmar. February, 2015. Folding a pink head wrap worn my Palaung men in time for Shan National Day in Myanmar. February, 2015. 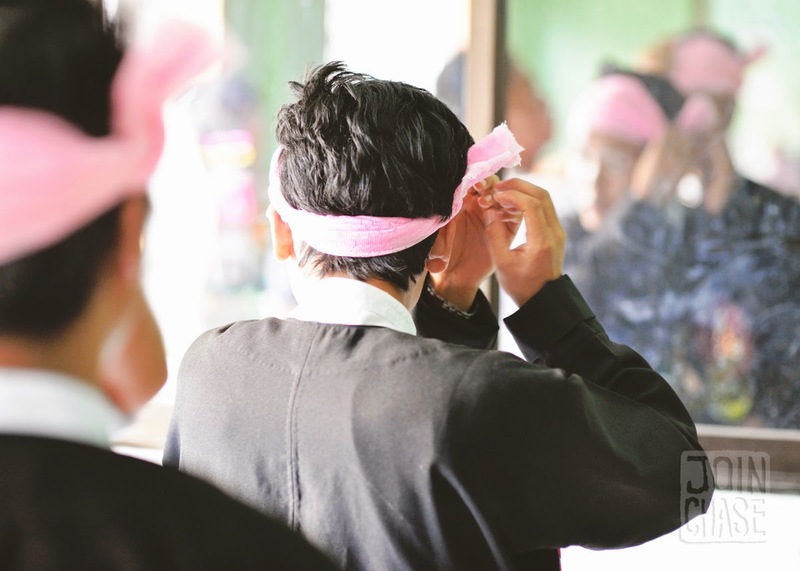 A Palaung man finishes tying his traditional pink headdress on Shan National Day in Myanmar. February, 2015. 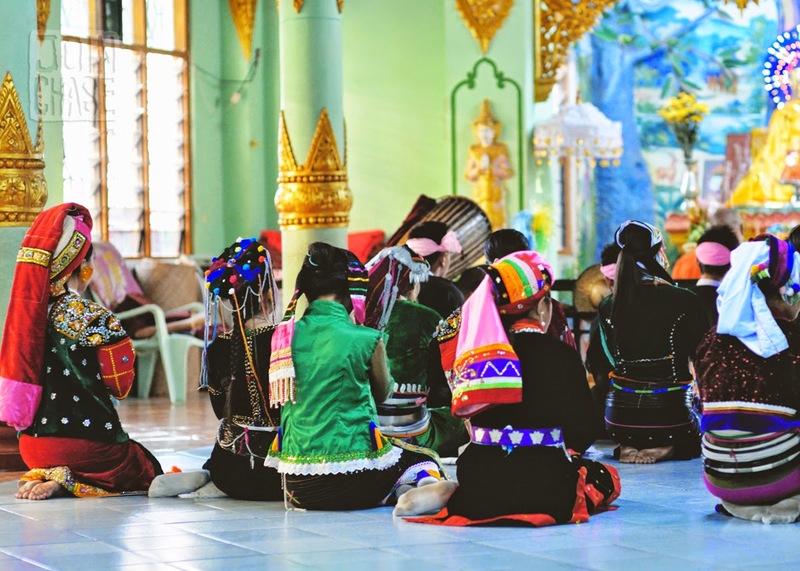 Traditional Palaung clothing is bright and layered. A member of the group poses for a shot. Yangon, Myanmar. 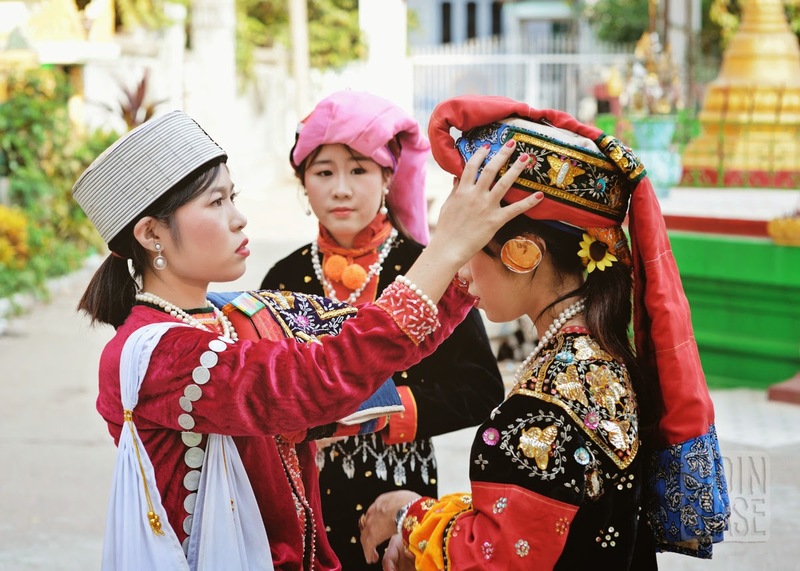 Palaung women helping each other get ready for Shan National Day in Yangon, Myanmar. February, 2015. 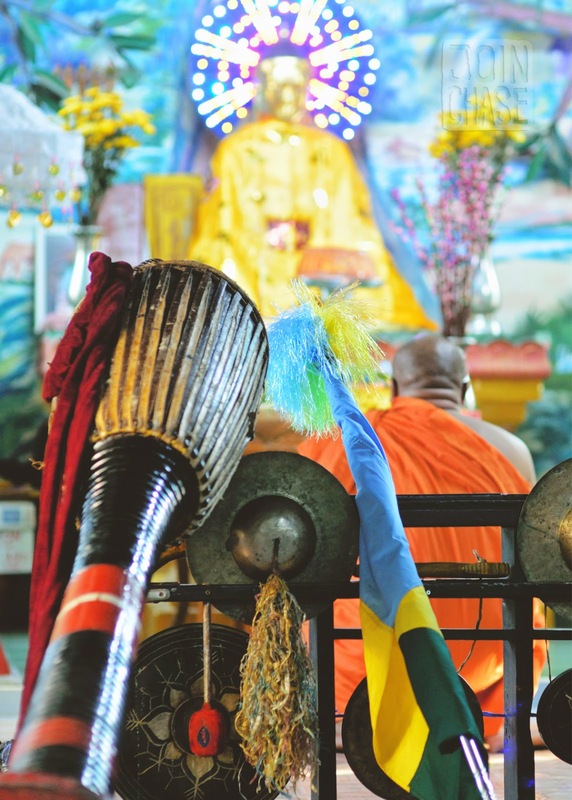 Musical instruments, a flag of Myanmar, and various items being blessed by a monk before the performance. 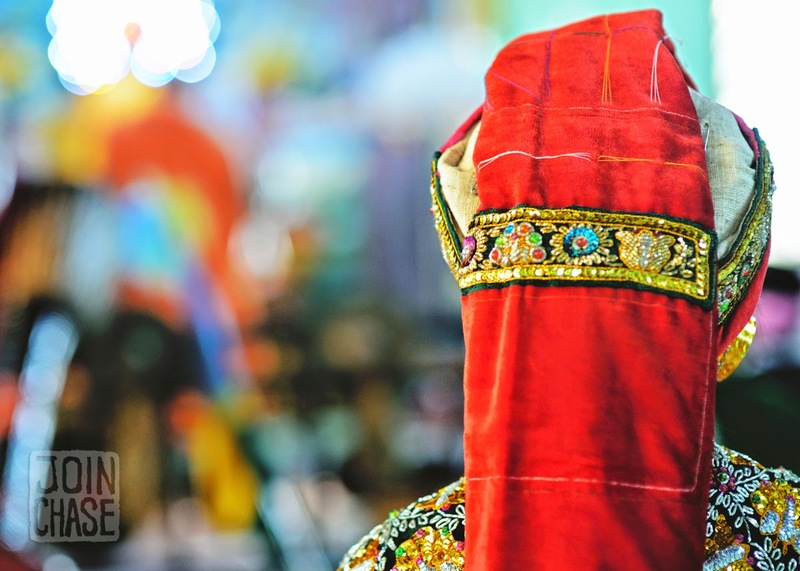 A traditional headdress worn by a member of the Ta'ang group on Shan National Day in Yangon, Myanmar. Members of the Palaung tribe from northern Shan State, Myanmar, take time to participate in a blessing ceremony. 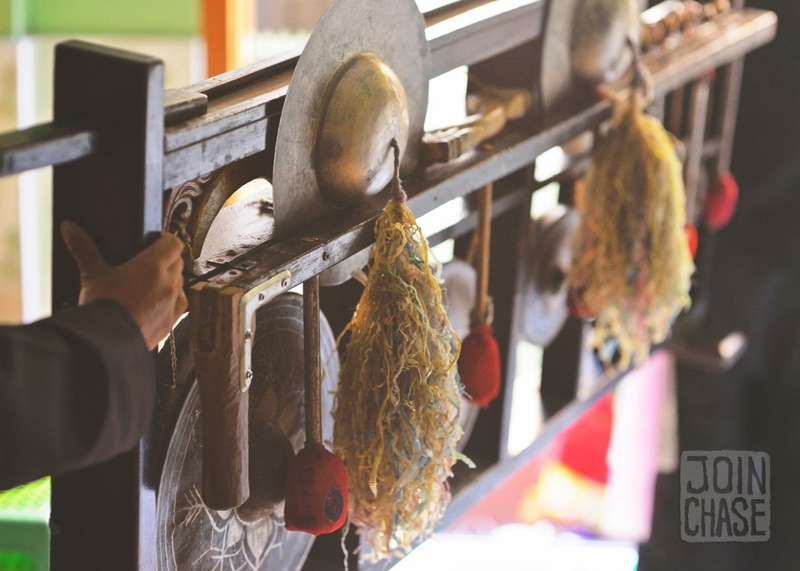 Traditional instruments used during the Palaung performance at Shan National Day in Yangon, Myanmar. Follow this link for photos of Shan National Day 2014, and watch this video to learn more about the Ta'ang (Palaung) Youth Group in Yangon!